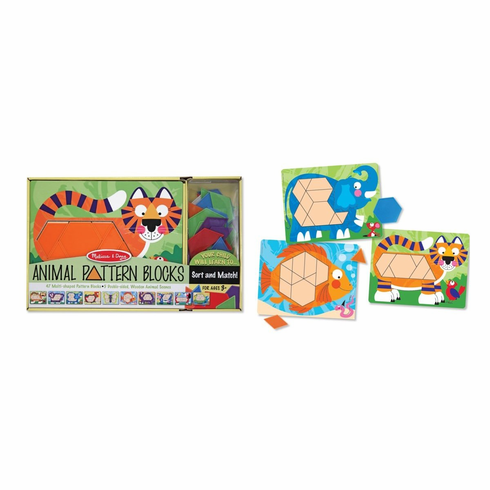 Match the shapes and fill the spaces on five double-sided, recessed, wooden boards with ten irresistible animal designs. 55 wooden geometic shapes, in a rainbow of bright colors, are included to complete the pictures. Have fun while developing shape and color recognition, fine motor and language skills.